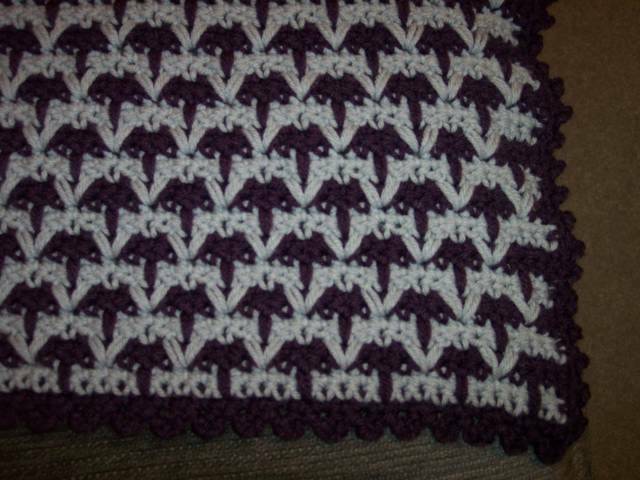 Okay, another afghan I'm proud of. 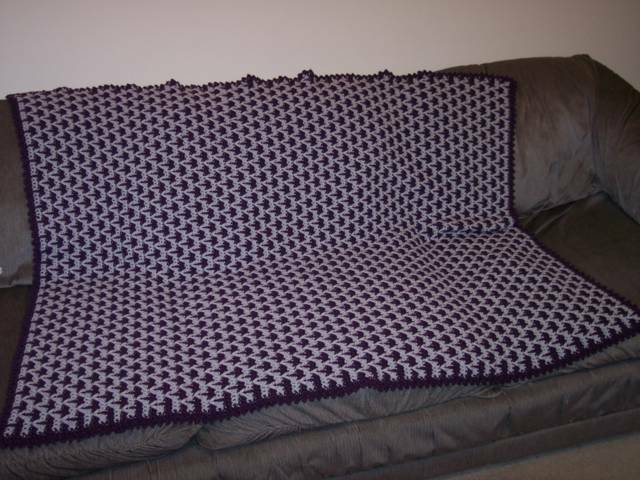 This one, the "Great for Your Guy" afghan, is from the September 2002 issue of Crochet! magazine. I don't know if their site has back issues, but Jennie Gaskin at Country Yarns carries all sorts of hard-to-find leaflets and back issues of magazines. 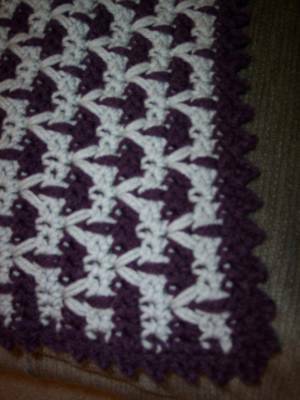 This pattern uses a lot of long double crochets, where you double crochet into the stitch in a row below your current row. This makes a thick fabric. As a result, this afghan is heavy and warm. 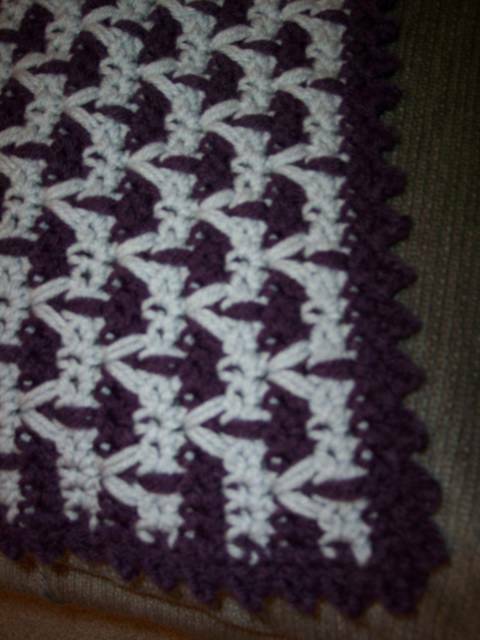 This pattern was fun to work. I think it looks like rows of birds. 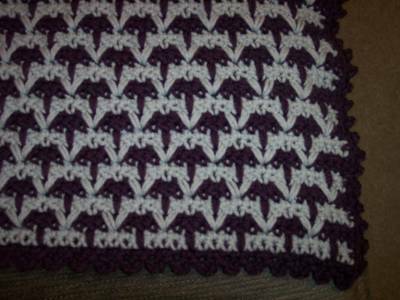 I also like the border on this afghan. Very nice afghan. It really does look like birds in flight. You do really nice work. Great job on all your stuff!